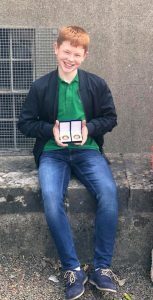 The entire club send their very best wishes and congratulations to Pearse Larkin who won two All Ireland medals in the fleadh which took place in Drogheda. Both were for first place for singing- Irish and English. Huge achievement! 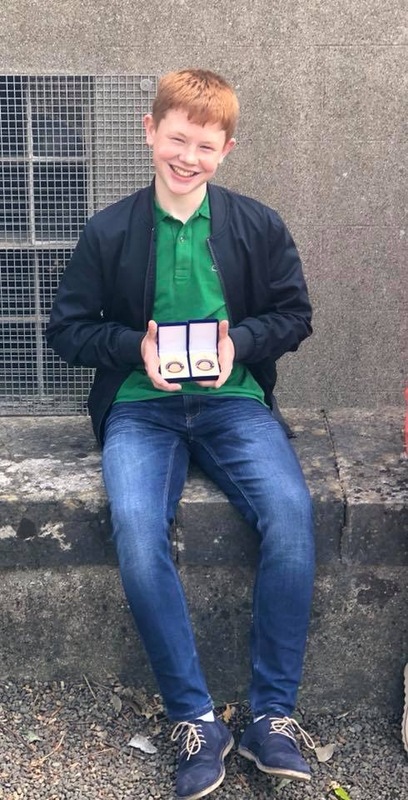 Well done Pearse. 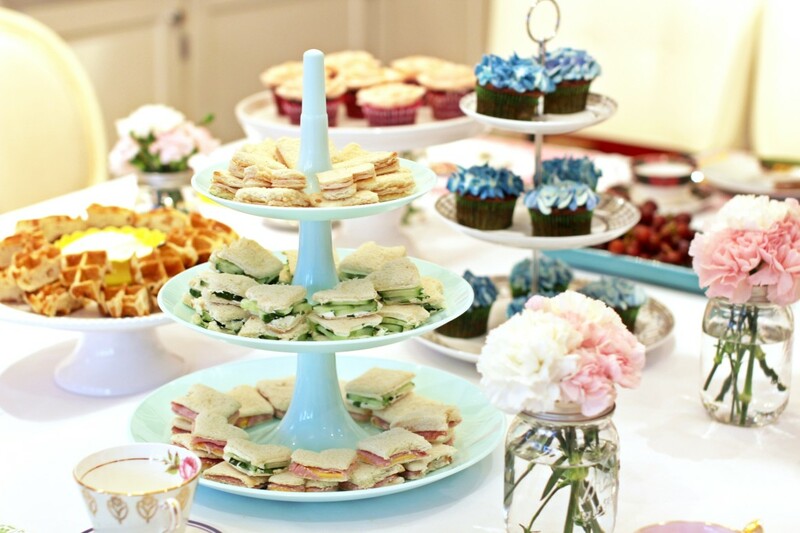 The ladies of our club have had a busy and very successful time recently. The Camogs are through to the Armagh Intermediate Championship Final after a great win against Cullyhanna. 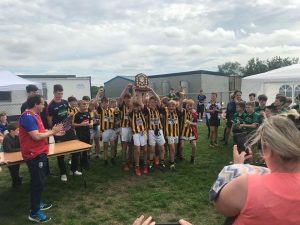 The Camogie summer camp took place during the week where eighty five children took part. Well done to all involved. 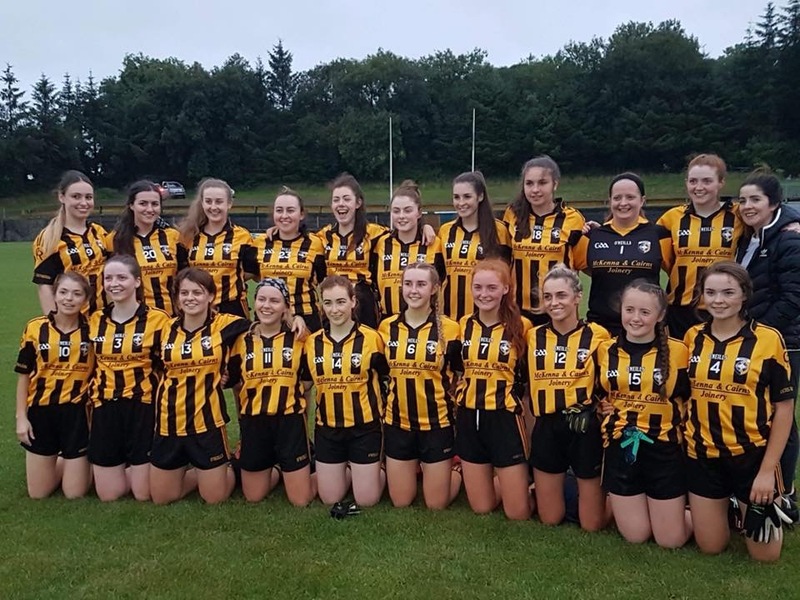 The U16 girls had a good win against Eire Óg on Thursday night and on Friday night our Senior Ladies were in action against Silverbridge in the quarter final of the Armagh ladies senior championship. A brilliant performance from the girls ensured they reached the semi final, beating the Bridge by a point. Congratulations girls and managements. #girlpower. Jim Burns was the man in the middle. The game got off to a dramatic start. We were awarded a penalty in the second minute which James Teelan converted to give us a good lead early on. At the halfway point of the first half we led, 1-02 to 0-1 but as the game enetered the final minutes before the break Clann Éireann scored five points a Dara O’Callaghan point for us left the game all square at the break. We got the opening two scores of the match to put us in the lead once again , Clann Éireann scored a goal in the thirteenth minute to edge them in front by the narrowest of margins. 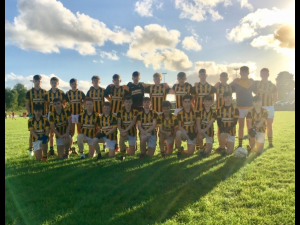 Clann Éireann scored another point before a Caolan Finnegan point brought it back to one point game once again with just over seven on the clock to go. Shortly afterwards, the Lurgan boys got their second goal of the match, minutes later the same happened the opposite end of the field as scored our second to leave just one the difference once again but a Clann Éireann point in the 28th point put them two in front which was enough to seal the victory. Hard luck boys and management. On Monday night we welcomed Armagh Harps to Cross to play in the league decider semi final. From the start of the match the boys were in control and built up a substantial lead early on. This lead was never compromised and at the half way point we led 1-13 to Harp’s 0-4. The second half started identical to how the game had commenced, Cían McConville had the ball over the bar when the second half was only seconds . We pushed on, scoring in total 1-11 in the second period. As the game drew to a close four unanswered points from Harps reduced the deficit. It was a fantastic all round team performance. Our U14’s had a good win on Tuesday night when they beat Armagh Harps in the U14 league Division 1A. Well done boys and management. 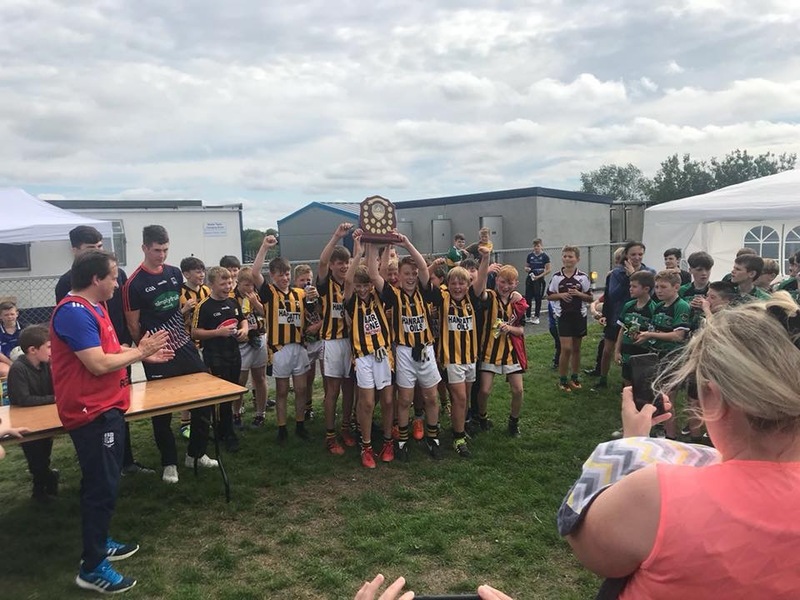 Well done U12’s team & management who beat Derrynoose to win the shield at the blitz hosted by Culloville Blues. Many thanks to Culloville for their hospitality. 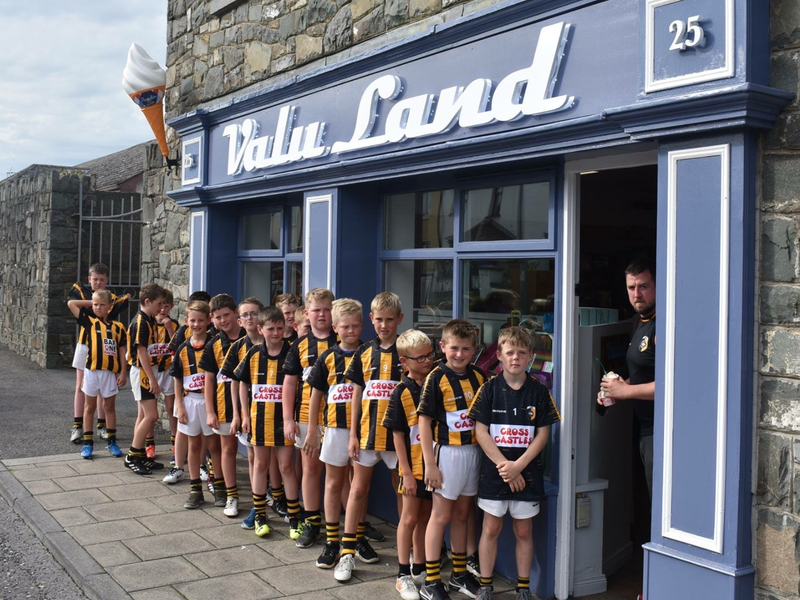 Thanks very much to sponsors Valu Land & Cross Castles for the new set of jerseys, the yummy ice cream and your support. 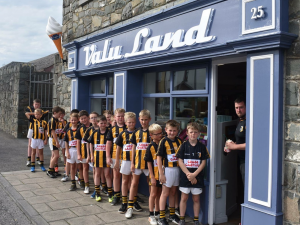 Pic Below; U10 squad with Aidan at Valu Land. On Monday night in Armagh, the Cormac Leonard Commercials Senior & Intermediate Championship Draw took place. First team has home advantage. Silverbridge v Crossmaglen, Friday 24th August @7pm. 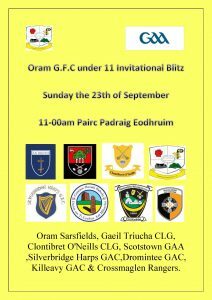 Good luck to both teams and managements on Friday and Saturday night. Success for our Seniors in the first round of Armagh senior championship. 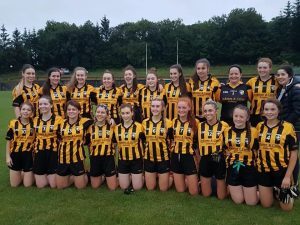 Having won the intermediate championship last season, our ladies team were promoted to the senior championship, for the first time in a number of years. Drawn against league winners, Silverbridge, in the first round, the team went in as the underdogs. The game in the Bridge throw in, and Silverbridge quickly knocked a point over the bar. The kick out was won and the ball moved up the field quickly but Lauren was pulled down, and won a free. Lauren Kicked the ball, dropping it in front of the goalie, but our girls managed to get it a cross the line, and they were 2 points up. A fast paced game ensued, with another goal from Alex Clarke and the one for the bridge, the half time score was 1.10 to 2.05, Silverbridge, just edging ahead. The second half began, with a number of points and Cross managed to level the score line, within a few minutes. However, it wasn’t for long as the Bridge scored another goal. Another uphill struggle for Cross, but they rallied and again found the onion net. However, Silverbride responded with a point, and Cross led by a point with two minutes to go. The girls fought well, to keep possession and held their lead until the final whistle. The girls now progress to the semi-final, and will meet Carrickcruppen. Information Evening: We would like to invite all our players (current and past) and parents to come along to short meeting on Wednesday night at 8pm. This meeting is being called to help plan for winter training and next season, your support and input would be greatly appreciated. Our U16 squad are in action tomorrow evening in St. Peter’s Lurgan. All U14 and U16 players are asked to meet at the hall for 5.15pm sharp, and all support is greatly welcomed. Well done to the girls who took part in the U10 blitz in Derrynoose on Saturday, we had a great day. We played five teams, and it was great to get a win under our belt. The girls are coming on great, and its great to see them enjoying these blitzes. There will be no training this week, due to U16 Championship. See you all next week. Our three games in Group B of the Senior Championship have been sponsored, thanks to those who have sponsored a ball for your sponsorship and support. A reminder to everyone that our juvenile Draw takes place next Monday night, 27th August. 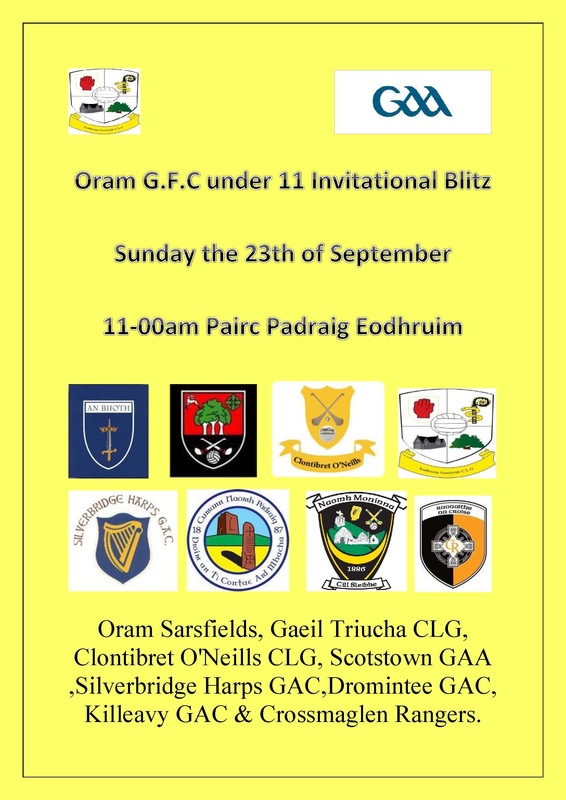 There are some fantastic prizes on offer and all proceeds from the draw will go directly to the underage teams in the club. Please support. 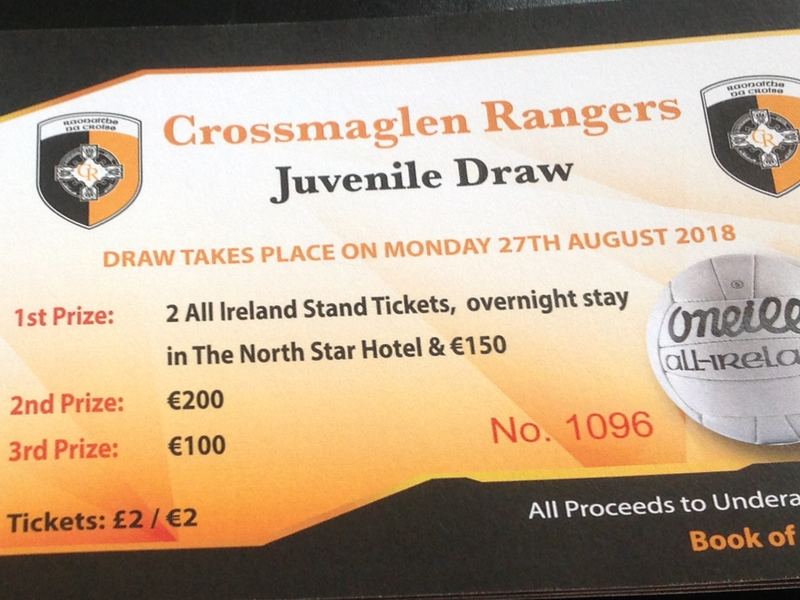 All tickets are to be returned this week to Tim or Underage coaches. 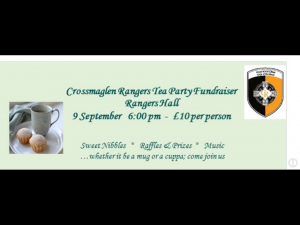 On Sunday 9th September at 6.00pm in the Rangers hall we will have our inaugural tea party. Tickets cost £10 and the host will receive a complimentary ticket. There will spot prizes throughout the evening and Tim will ensure there is background music to set the ambience. Preparations are in full swing for “Night At The Races ” will take place in Dundalk Stadium on Friday, 26th October (Evening Meeting). A table of ten costs €1000 (individual tickets also available which will cost €100). Your ticket covers your admission to the racecourse, a scrumptious four course meal, complimentary race card and all ticket holders will also be entered into a fantastic draw with five hotel breaks on offer in top hotels around Ireland. 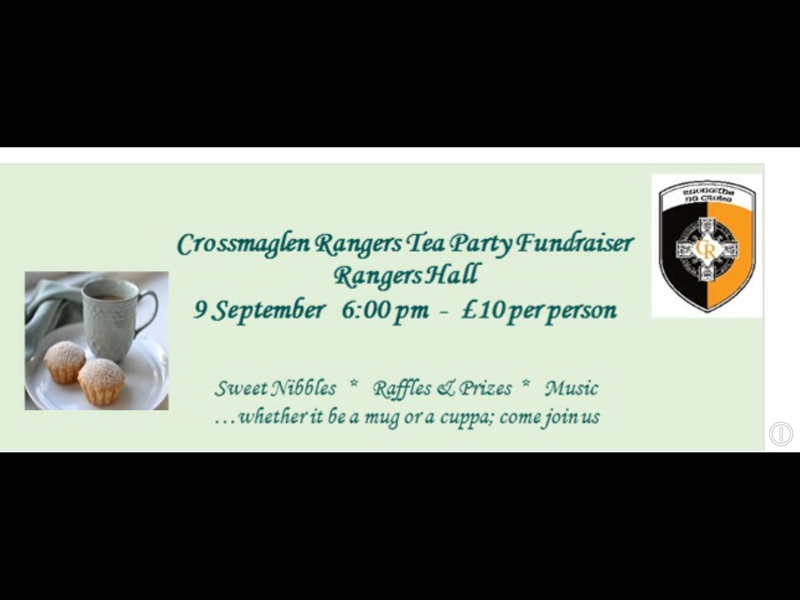 Any business or individual who would like to provide sponsorship for this event, please contact any committee member or pm Cross Rangers FB page for more information. All sponsors receive two complimentary tickets at the sponsor’s table. 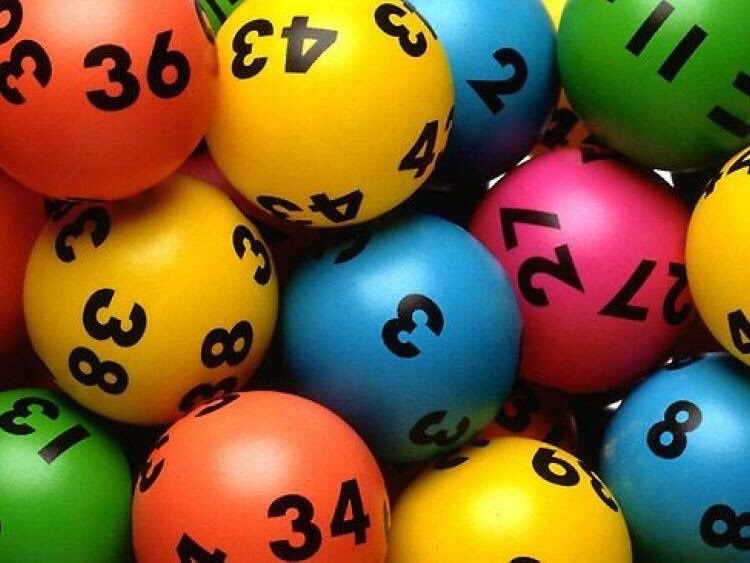 3 matched 3 numbers; K Murtagh, Megan McCreesh & Shannon Savage win £35 each. Well done to our match three winners. 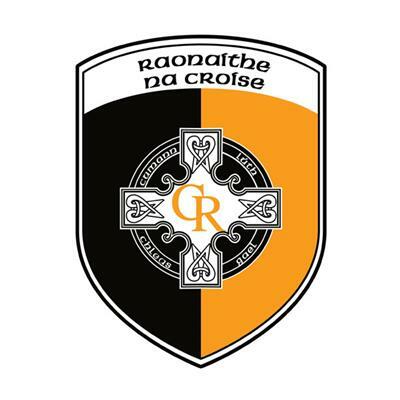 Crossmaglen Rangers GFC send their deepest condolences to our Gerard’s Wife, Mary, Son Gerard (Senior team Physio) Daughters Alecia and Patrice and the entire Leddy family on the recent sad passing of Gerard. Posted: August 19th, 2018 under Club News.